By default, messages are stored forever on your iPad, iPhone, and iPod touch. It's not too often that you'll need to view a text from a year ago, and keeping all those images, video, and other media—and the messages themselves—can take up valuable storage space on your device. Then again, you never know. Maybe you need the record for work, or you just enough calling out your friends when they contradict themselves. Either way, it's nice that Apple now gives us options. 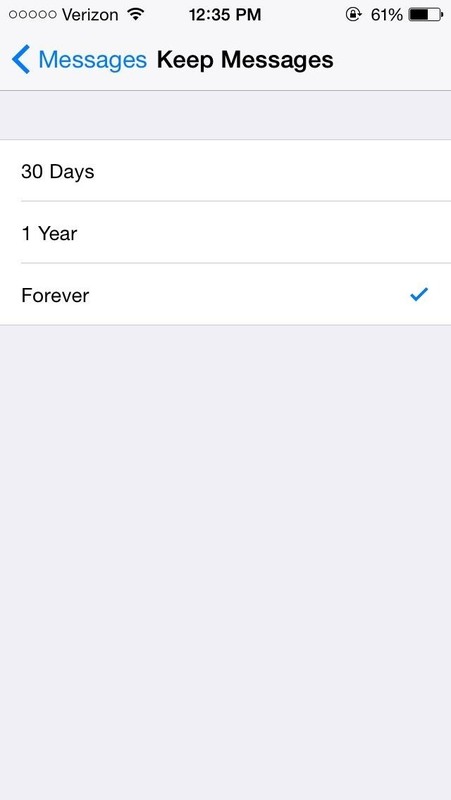 As one of the new features in iOS 8, we can now select how long messages are stored on our device. 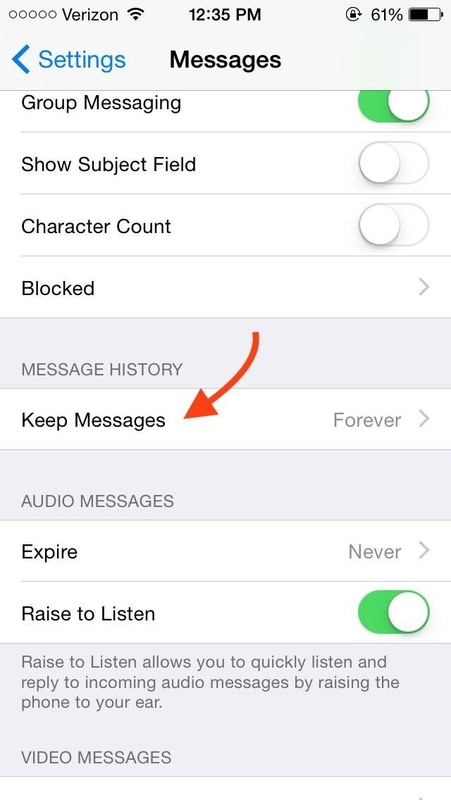 On your iOS 8 device, go to Settings -> Messages and select Keep Messages under the Message History header. Choose if you want to keep your messages for 30 Days, 1 Year, or Forever—it's as easy as that! For those of you with extensive messaging threads, this will help clear up some space on your device. BOSSS find Neil. Finally they put this ability to kill the 4.8 GB of iMessages I have in to iOS 8. I appreciate that. It's definitely something most people should take advantage of. Enjoy! Thanks for the tutorial. Question, I went through these steps and chose 30 days, but I have messages since 2011(when I first purchased my phone). How long does it normally take for this to delete my history since I have 4 years worth long of messages?